Following the win from Valtteri Bottas at the Australian GP, Bottas has become the fifth Finn ever to win a Grand Prix. 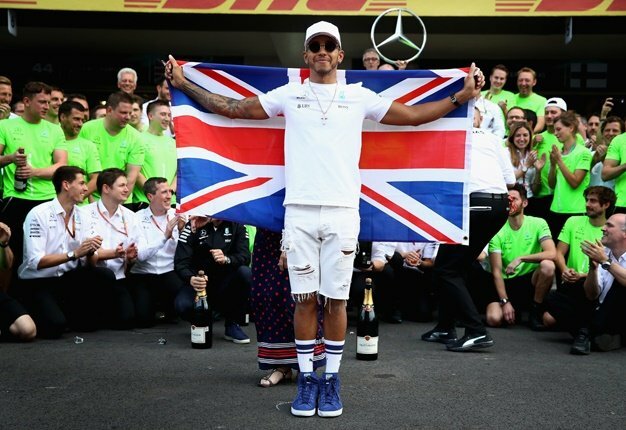 The United Kingdom has had the most individual winners and overall wins in the F1 Drivers’ Championship but that’s hardly surprising considering a population which reaches over 65m people. The win rate by nations tells a more interesting story about how inhabitants from this sparsely populated land which kisses the edge of the Arctic Circle, lead the line. For every 1.375-million people, Finland has won a title, making it a clear leader across all nations home to a championship winner. In comparison, the UK win rate is over 1 in 4.7m people. Finland also top the charts when it comes to individual winners, with 3 Finn’s winning an F1 Championship throughout history, that’s 1 in 1.834m. So the continuing trend of Finnish drivers succeeding in motorsport got us thinking – just how has a nation of only 5.5m people managed to have such a strong influence on the motorsport world? Select Car Leasing investigated some of the key reasons behind the incredible rise of the Finnish nation within motorsports over the years, and there are 6 ways that have been crucial to Finland’s ascent to becoming a motorsport powerhouse. 1. Sisu – Although there is no direct translation to English, this can be roughly translated to simply ‘go’. However, it has a much deeper meaning to the Finnish people. Often described as a form of inner strength and perseverance through adversity, many of their drivers such as Valtteri Bottas and Kimi Räikkönen are famous for their cool, calm, collected persona. Speaking on the mentality of Finn’s, former Ferrari driver Mika Solo said “Our mentality is very good for racing – never give up. We’re very stubborn, jealous and selfish people. 2. Finland has one of the hardest driving tests in the world – The challenging road conditions in the country mean that driving assessments must be stringent to avoid accidents in challenging circumstances. The Finnish driving test is one of the hardest in the world, with the possibility of students having to demonstrate their skid control or even their driving test ability. Finn’s must undertake 18 hours of practical lessons, and 19 hours of theory before they qualify to take a driving test. Drivers are given a 2-year interim license which requires them to undertake advanced driving classes, often using a simulator. Only once that’s completed will they be awarded a full license. 3. Folk racing takes place all over Finland and is a great starting point – Folk racing is an extremely popular past time in Scandinavia, originating from Finland. Known as Jokamiehenluokka or “everyman’s class”, it’s a relatively inexpensive form of motorsport in which competitors turn old or unused vehicles into racing machines for little expenditure. Races are typically operated on special gravel or tarmac tracks in scheduled locations. To ensure that folk racing is accessible for all, there are rules on the amount competitors are able to spend on their vehicles. Pioneers of the Scandinavian Flick – Also known as the Finnish Flick, is a technique used in rallying to negotiate difficult corners. The move originated from Scandinavian rally drivers during the 1960s who mainly drove front-wheel-drive cars. They would approach the corner slightly outside of the centre. Before entering the corner, they’d then swing to the outside of the road before immediately turning in the correct direction. While doing this, the driver taps the brake pedal, causing a shift in weight to the front of the car. The ‘flick’ part refers to turning the steering while in the correct manner so that the car exits the corner at peak efficiency.